I mentioned in my latest Sick Tings post that I headed home for the weekend last week. It was lovely. Despite only being home for less than 48 hours, my mum, sister and I managed to squeeze in a very fruitful shopping trip. 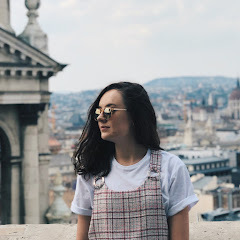 We hadn't initially planned to go clothes shopping, but we had to return a faulty clothes rail back to Argos (what a glamorous life I lead, it's not all parties and blogging events) and ended up falling into Topshop, New Look, H&M... The usuals. I was only really on the lookout for a potential boat ball outfit, but somehow managed to accumulate quite a haul, none of which including a boat ball outfit. I did, however, make an ASOS order and think I've found the dress I'm going to wear, there's a photo of it on my twitter here if you're interested. I'd love to hear your thoughts. My housemate said it looks like I've just wrapped a beach towel around me so there's that. It's definitely out of my usual dress scope, but I do think I really really like it, and I'll be more than likely wearing it to the ball. New Look are currently holding a sale (when are they not??) and I managed to grab all three of these pieces from the sale, winner winner. Now, let's start with that skirt. I'm still not entirely sure how the tie at the front of it works, but the print is what absolutely sold this to me. I absolutely love the red and the pink together, particularly with the black contrasting with it. This skirt was only £5 and whilst I can't find it online, it might still be in stores if you want to look out for it. The Bonjour tshirt is in one of my favourite colours at the moment and was only £3 ?? Whaaaat? I'm going to pair it with blue denim and my white Missguided leather boots for casual days, and I think it's going to be a vibe. As for the floral number, it's a playsuit and cost a measly £8. I have quite a lot of events/parties/balls coming up after exams so I'm sure I'll be wearing this to one of those. It fits really nicely, and the print is stunning. I'm not usually a florals kinda gal, but there's something about winter florals that really draws me in. Shall we just pause here for a second to admire the beauty that is that botanical print? I absolutely love it. Both of the above pieces are from H&M and were only £8.99 each full price?? 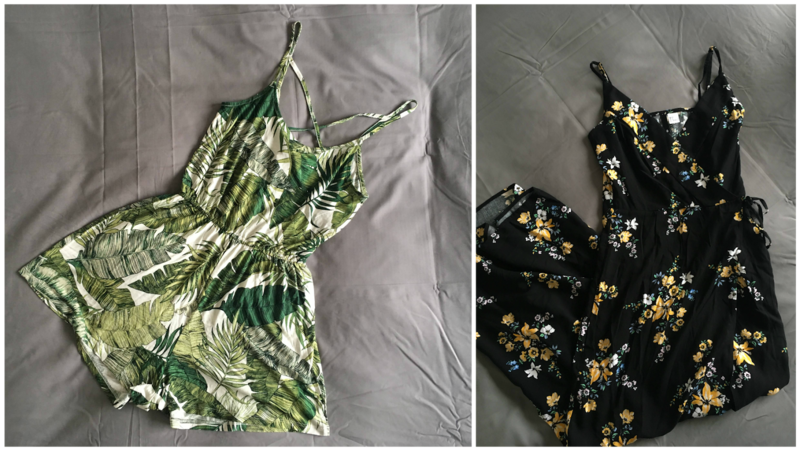 I've recently ordered quite a few Boohoo playsuits and had to send them back due to them covering less than 30% of my derriere, so was pleasantly surprised when this H&M one was plentiful in length. I got this in a small and it's genuinely a perfect length, so if you're after a playsuit H&M is certainly worth looking at. Wait what, is that two floral pieces in one haul? Yeah it is, kids. This second piece is actually a maxi dress and I'm lowkey in love with it. I haven't had a maxi dress in years, but this one fits like an actual dream. The bodice of it is really tight and the skirt has a slit the whole way up of it, so it's super flattering and not at all frumpy. Get me to Bali in my maxi dress already please. Have you bought any new pieces recently? Love all the bits you picked out, new look is killing it at the moment as well - got so many pieces from there recently! 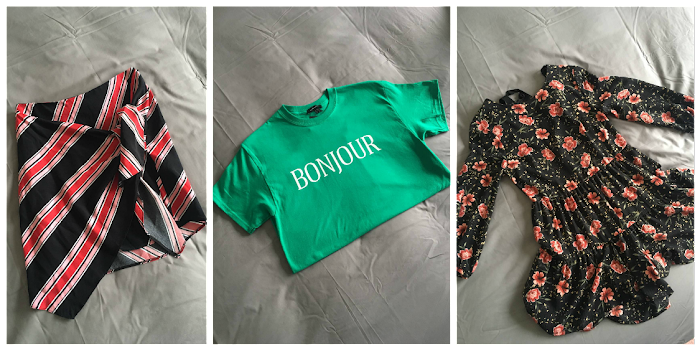 I absolutely love both of the piece you've picked up from H&M and for £8.99 each, what. a. bargain!